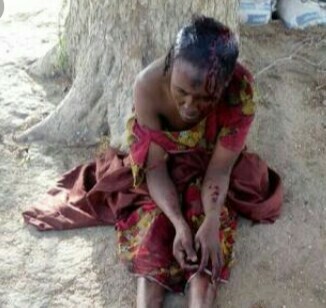 The Nigerian Army says some courageous civilians on Sunday, May 20, foiled a bomb attack by a suspected female Boko Haram member on a mosque in Gashua, Gujba local government area of Yobe. What would have otherwise been a devastating bomb attack on a mosque in Gashua village in Gujba Local Government Area of Yobe state has been successfully foiled today by vigilant members of the community. A female Boko Haram bomber had infiltrated the mosque, while members were about to commence a prayer session but was detected when struggling to detonate a vest strapped to her body. She was quickly restrained by the locals, arrested and handed over to troops at Azare. Members of the Explosive Ordnance Disposal Component of Operation Lafiya Dole at the location have safely defused the vest, while the bomber is currently receiving medical attention due to injuries sustained during her arrest. Earlier, special forces of the Nigerian Air Force (NAF), in conjunction with some Nigerian army troops, successfully foiled a bombing attack by Boko Haram terrorists at the University of Maiduguri, Borno state on the night of Sunday, April 8.